What stops many consultants from optimizing their success is not a lack of acumen in their field of expertise, but a failure to take sufficient account of the financial aspects of their business. In this immediately actionable talk, Ron Loberfeld, managing partner of Abrams, Little-Gill & Loberfeld, one of the top 40 CPA firms in Massachusetts, will address the critical financial requirements to develop and sustain your business. He will touch upon such issues as developing your business plan, how to budget, keeping your financial records straight, where to go for financing, dealing with taxes and payroll requirements, understanding your insurance needs and how to plan for retirement. You will leave this talk with a better understanding of the financial aspects of your business and what is required to build a sound financial structure for your success. 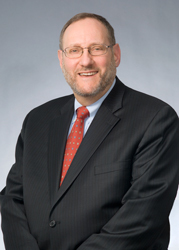 Rob Loberfeld is Principal/Managing Partner of Abrams Little-Gill Loberfeld PC. Under Ron’s leadership, Abrams Little-Gill Loberfeld PC has continued its reputation for combining quality, personal service and value. As Managing Partner, Ron has played an integral part in ALL’s expansion, sustained level of growth and success. Before merging with Abrams, Little-Gill, Tishman & Witty P.C. in 1997, Ron started and managed his own CPA practice. He organized Loberfeld, Sherman & Co. in 1984, where he also served as Managing Partner, leading the development of their management consulting and financial planning service arm. Ron’s client practice spans many industries including professional service and hospitality, real estate, medical practice and healthcare fields. His range of experience runs the gamut from strategic business and tax planning, contract negotiation, bank financing facilitation, litigation support, management succession, ownership transition and trustee services. He is an accomplished public speaker and presenter, and provides ongoing business retreat, meeting facilitation and strategic planning, consulting and coaching services to CPA firms, other professional service providers, entrepreneurs, emerging and small business owners. Ron and his wife Roberta are the proud parents of three children and nine grandchildren.